i said no. but then i changed my mind. that was response last week. off the cuff, quick as could be – nope. my reason? it would be uncomfortable, inconvenient. my support account is in the red. i have a different plan. a responsible plan. not to mention what it might do to the people i love most. the emotions. leave? again? nope. not gonna happen. pretty quickly i realized what a cop out answer i had just given. that i had no real reason to not at least ask the question of the lord. “what if?” what if you did provide? what if i did love it? what if my inconvenience catapulted me into something great? what if i fell in love with these people? what if i came alive again? but what if people think it’s stupid? what if i can’t do it? what if the money doesn’t come in? what if people get hurt in the process? what if i’m not responsible? what if the nations are changed? what if people get healed? what if college kids come alive? what if you told them who they are? what if you were stretched again? what if you were supported? what if you were loved and encouraged anyway? it’s been an emotional week. a week filled with so many conflicting emotions. emotions that i don’t really know what to do with. a week of great rejoicing and a lot of tears. a lot of hard conversations and decisions that, really, i wish i didn’t have to make. a lot of thankfulness. a lot of questions. few answers. but, at the end of it – the only answer that mattered was my “yes.” yes. i’ll do this. yes. i’ll be all in. yes. i’ll commit to 23 of my new favorite people. yes. i’ll choose to be uncomfortable. yes. i’ll trust that this can be good – even in the midst of the stuff that, right now, seems anything but good. yes. yes. yes. let me introduce you the amazing people i said yes to. 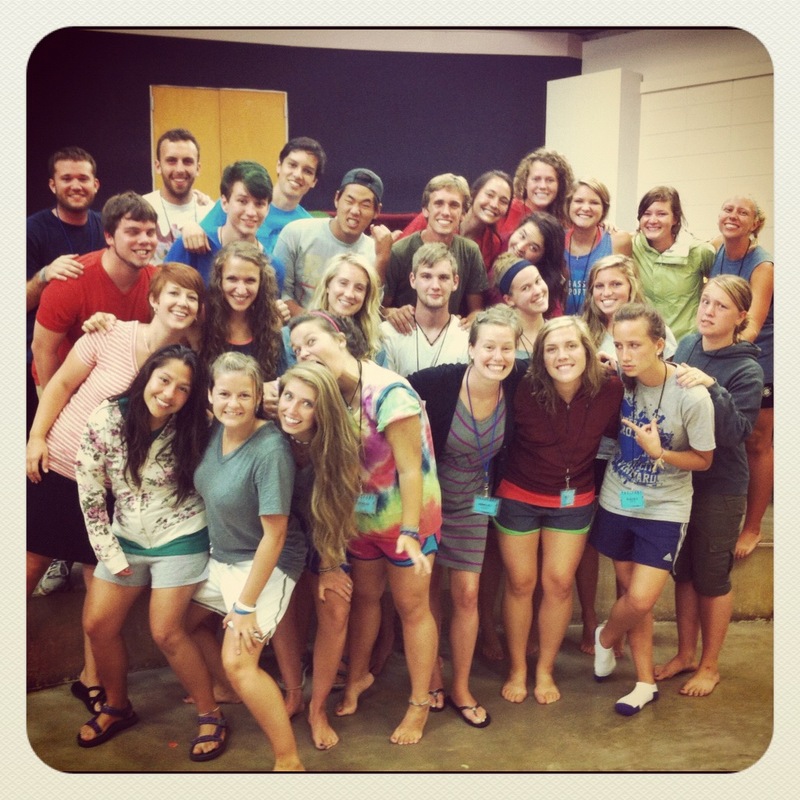 these 23 crazy people are a part of our passport immersion team. they’re 17-21 years old and they’ll be going to the nations for 9 months. these guys are putting off school for a year, selling cars and horses, leaving their families, friends and comforts all because jesus asked them to. they said yes to that. the least i could do is say yes to them. i’ll be squad leading this incredible crew. my last day in the marketing department will be august 10th. i’ll go home for a week to see my family and meet with my amazing supporters (that’s you!) and then come back to georgia before we launch in september. i’ll be with them for the first four months of their journey; discipling them, loving them, ministering with them and to them, setting them up to finish their journey well. we’ll be in honduras for the first three months and then i’ll help transition them to thailand where they will be for three months before heading to south africa to finish their journey. i’m beyond excited about the opportunity. i can’t even begin to tell you how thankful i am for the chance to love them and pour out the stuff that’s been brewing in me for what feels like so long. would you pray for me? would you pray for incredible peace as i walk through this season? pray for my squad. pray for my co-leader, david. pray for my family and friends as we say goodbye again. pray for the funds to come in. pray about how you can help. pray for my gainesville people and the transitions we’re all walking through. pray for direction about what to do after this. i cannot express how much i appreciate all of the support and encouragement you offer. it means the world to me. it keeps me going. blessings as you each navigate and decide what god is asking you to say “yes” to.